The next leg of the X Games world tour runs from June 27 to 30 in Munich, Germany. 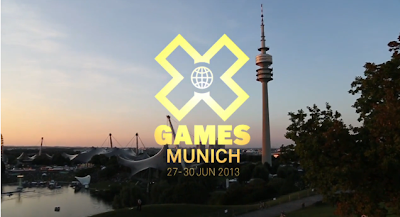 The Munich games is the second consecutive X Games stop in Europe, following up on the Barcelona X-games that ran from May 16 to 19. The world tour closes in Los Angeles in early August. 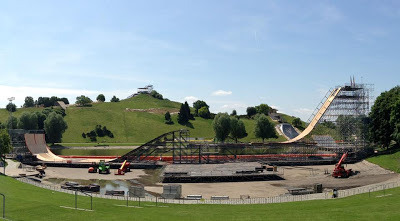 The host site of X Games Munich will be Olympiapark, the park that was built back in 1972 when Munich hosted the summer Olympics, and will be a perfect location to showcase the world's best in extreme sports. Olympiapark features 4 different venues that will serve as the spots for the respective events: (1) Skateboard Park, Street League Skateboard and BMX Park will be held in the Olympic Ice Sport Center; (2) Freestyle Moto X and Enduro X will be held in the Olympic Stadium; (3) Moto X Best Whip, Step Up and Speed & Style will be held in the Olympic Hall; and (4) Mountain Bike Slopestyle will be held on the Olympic Hill. But the most unbelievable venue is for Skateboard Vert and Big Air. The ramps are being built directly across the Olympic Lake, creating a floating island vert and big air park. Yew! Mountain Bike Slopestyle (MBS) will be featured as an event at the Munich X Games for the first time ever. Moutain Bike Slopestyle has got it all - huge airs mixed with technical riding. The goal is to score the most points as you ride your way down the Olympic Hill by performing tricks - backflips, 360s, frontflips, whips and more. Judges award points based on difficulty of tricks and overall performance. 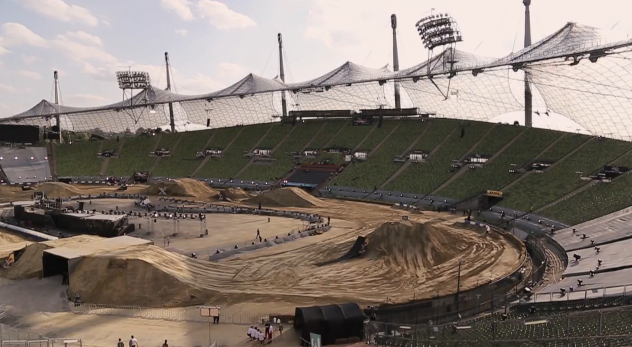 Watching MBS is like watching a skateboard street heat crossed with Moto X's big jumps. 16 competitors will start out in round 1, with each competitor getting 2 runs down the Olympic Hill. The top 10 scorers will advance to the finals, where the top scorer will claim X Games gold.